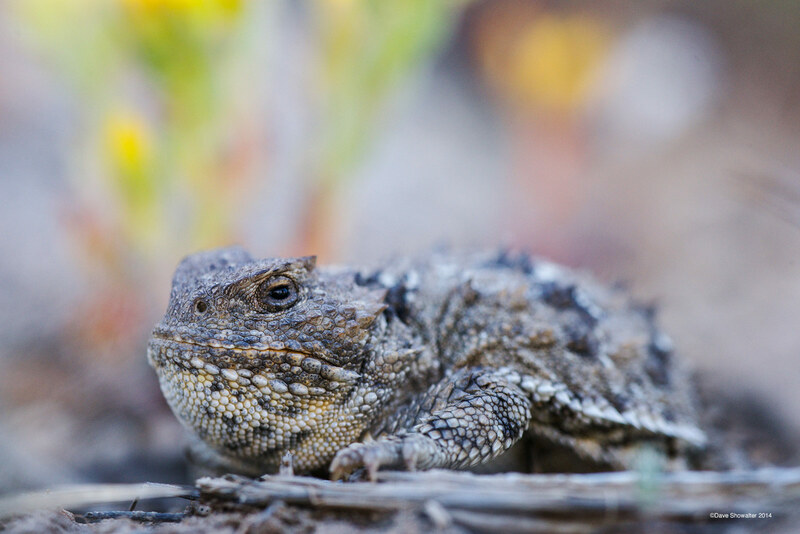 Greater short-horned lizards, also miscalled "horny toads" are native to the sagebrush ecosystem, living in semi-arid plains to lower mountain elevations. I photographed this female while working with PhD candidate Reilly Dibner from the University of Wyoming in Shirley Basin. Shirley Basin is situated between Casper and Medicine Bow, a wide-open and undeveloped mixed shortgrass prairie and sagebrush basin on BLM land. Although a species of special concern, Wyoming's state reptile seems to be doing well in Shirley Basin. Photo © copyright by Dave Showalter.